Troy Smith (Heisman Trophy winner above) says Rhome has lived up to his reputation. Jerry Rhome with Chase Daniel (pictured above). Member of the 2010 Superbowl Champions - New Orlean Saints. Worked with Chase the summer before his record breaking year in 2007 at Missouri. Greg McElroy (pictured above).Tutored Greg while he attended University of Alabama 2007-2008 McElroy led Alabama to National Championship in 2009. 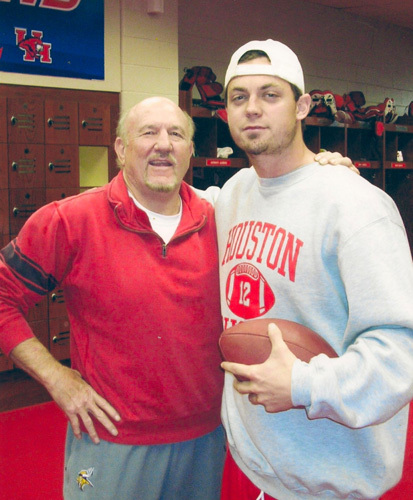 "He blows me away with the things that he knows as a quarterback," Smith said. just that knowledge from a quarterback standpoint and an offensive standpoint at the next level." Read more from this Houston Fox26 Sports article by clicking here. Jerry Rhome, 33 year veteran player and coach for NFL players, college players preparing for the NFL draft, and young football players in college, high and middle school. 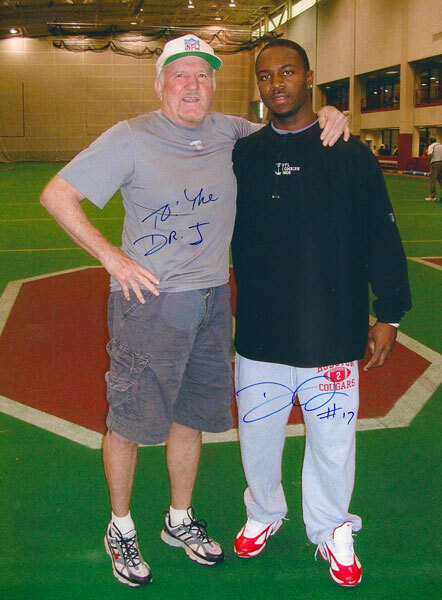 Jerry Rhome trains and coaches Quarterbacks, Wide Receivers, Tight Ends, and Running Backs in both the mental and physical aspects of the game. Pennsylvania, South Carolina, Texas, Tennessee, and Virginia. and within the domestic United States.